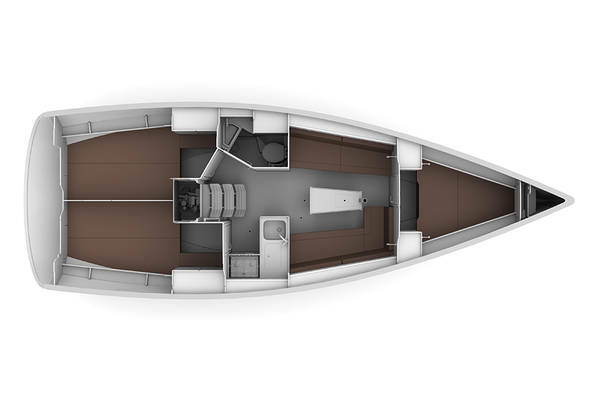 A big cockpit with 2 wheels and a comfortable layout below deck boasting 3 cabins! 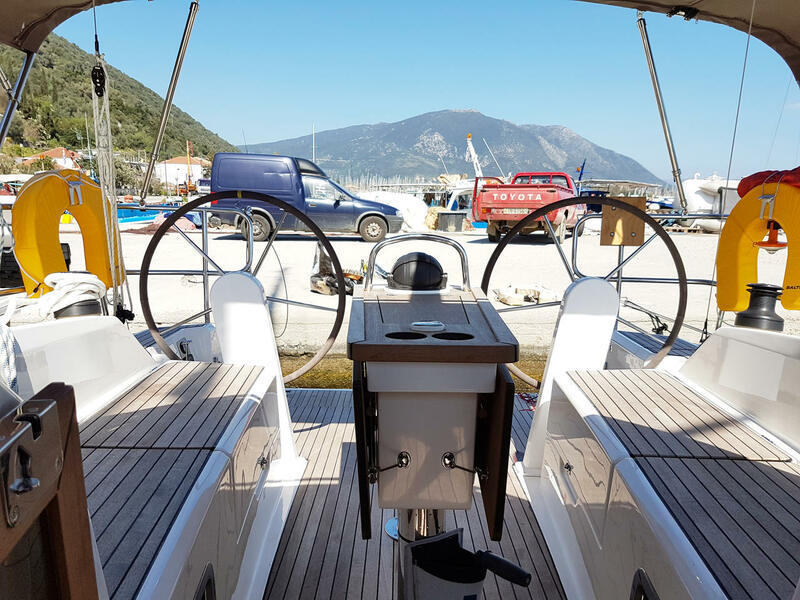 Even the smaller yachts can be a lot of fun! 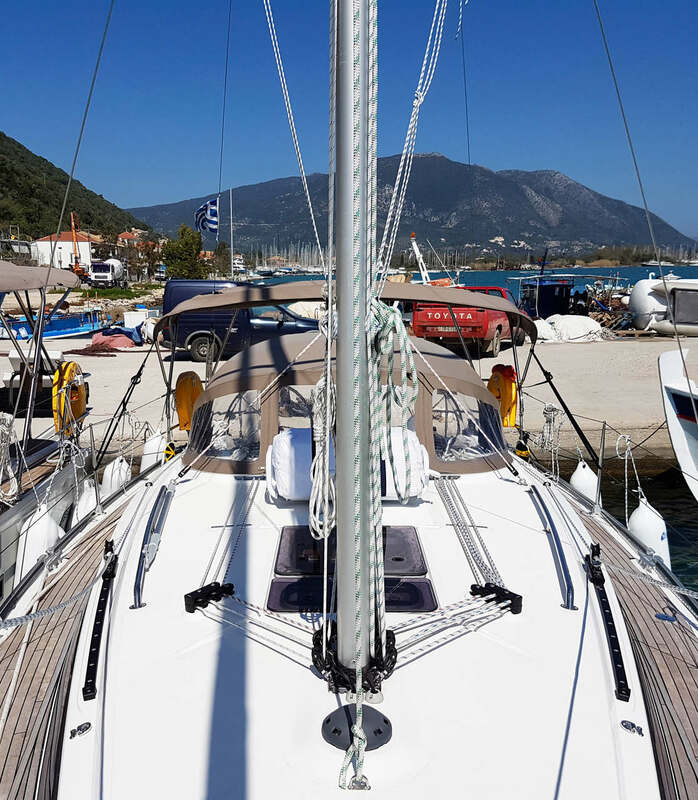 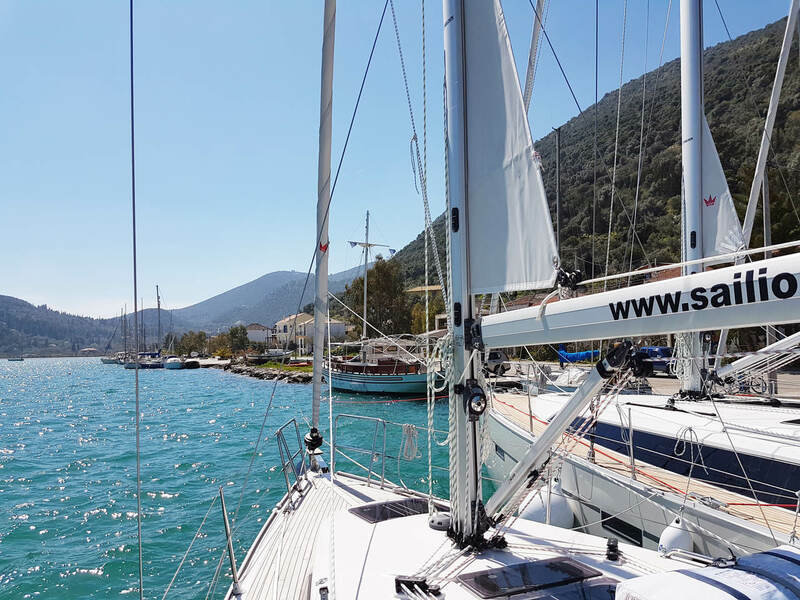 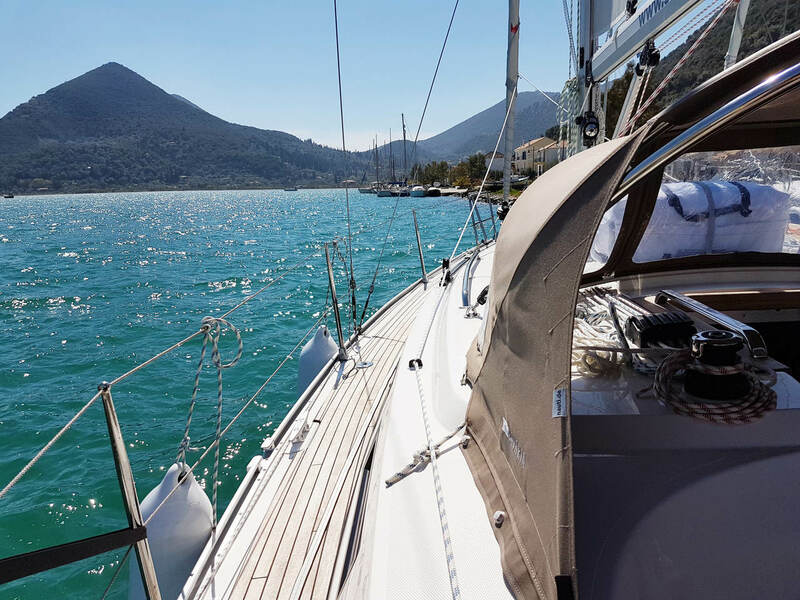 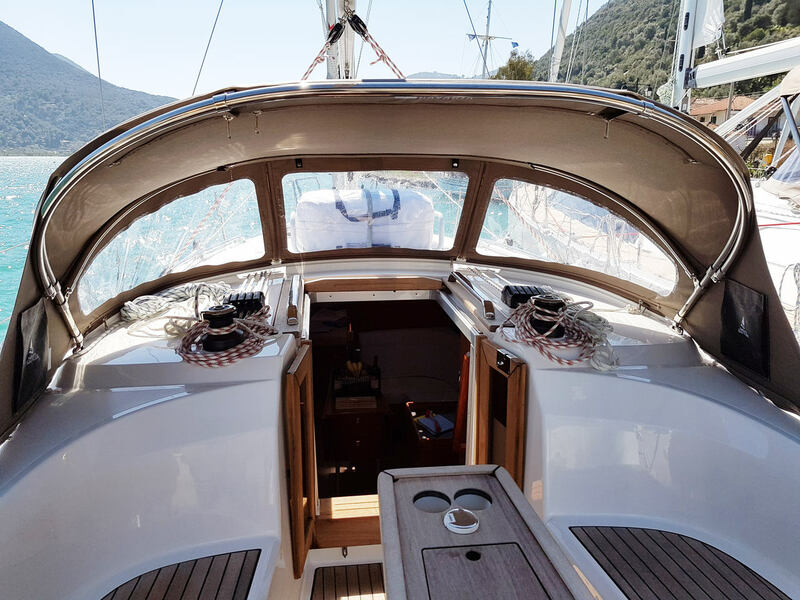 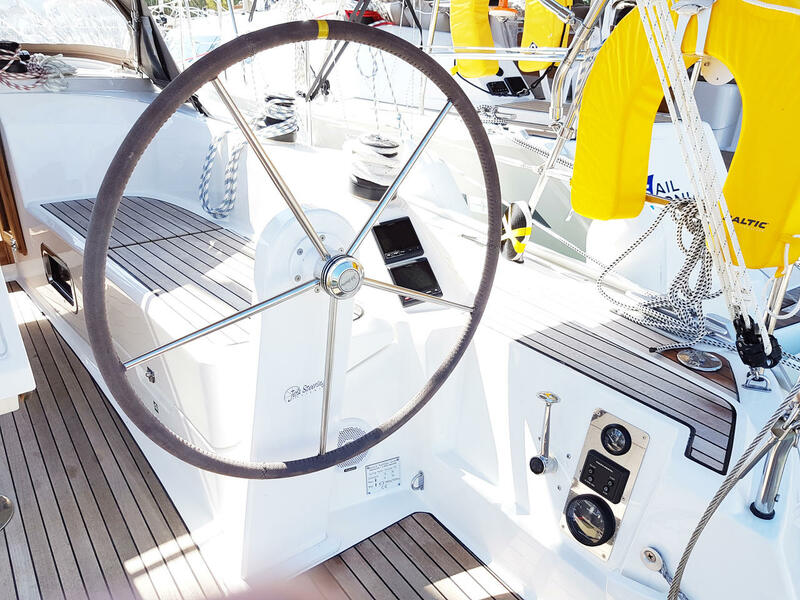 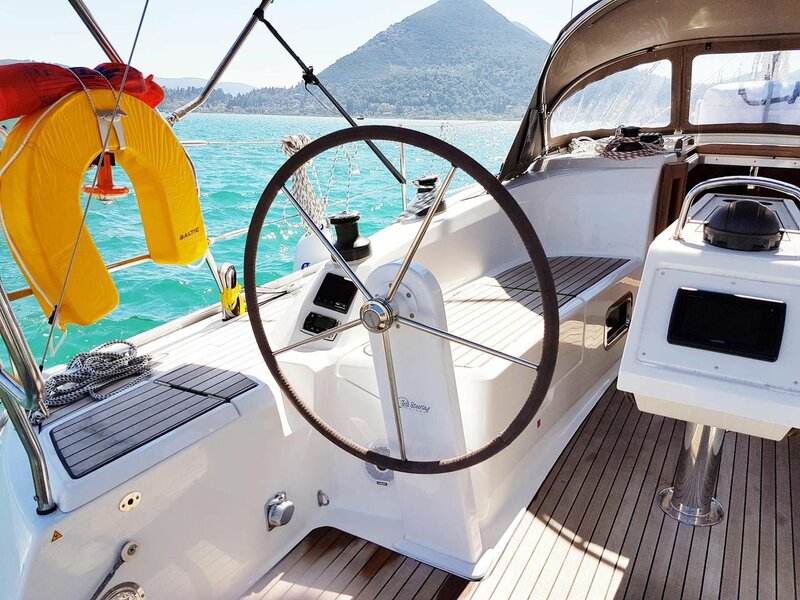 From the twin helms of the Bavaria 34, the helmsman has an optimum view of the sails, course and crew. 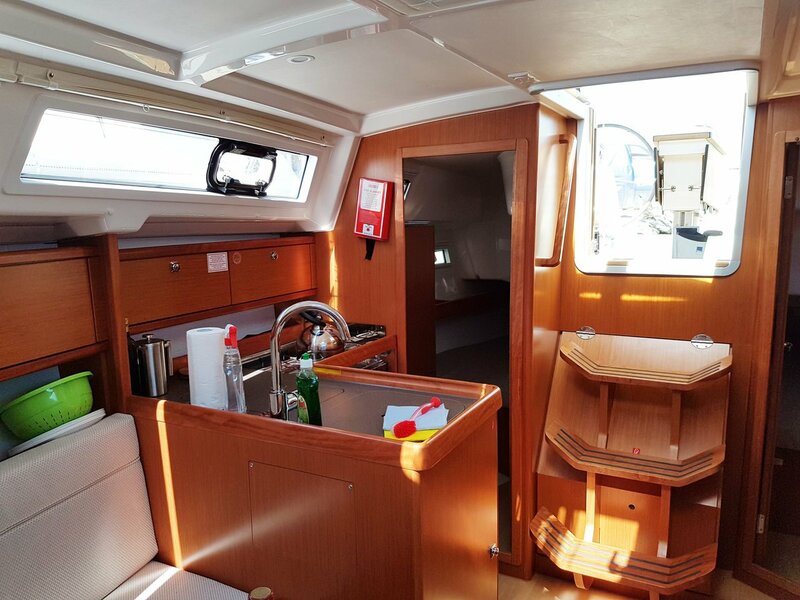 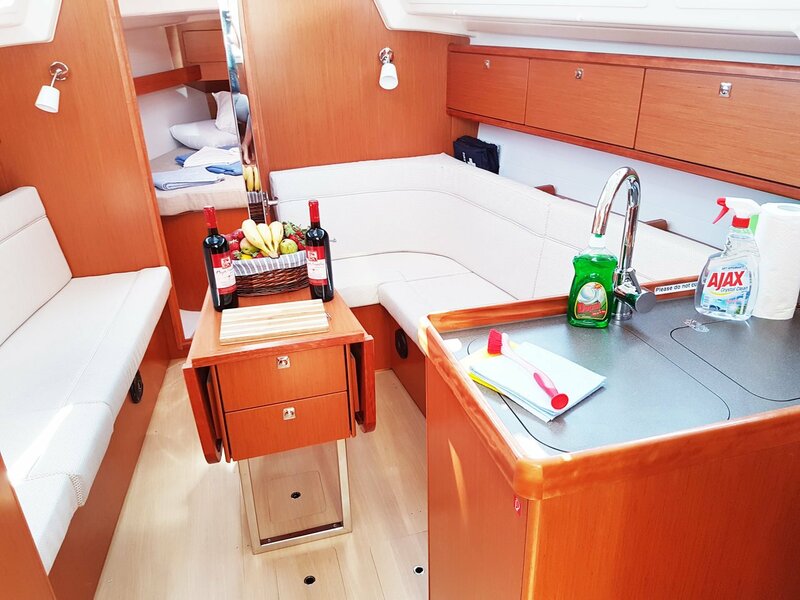 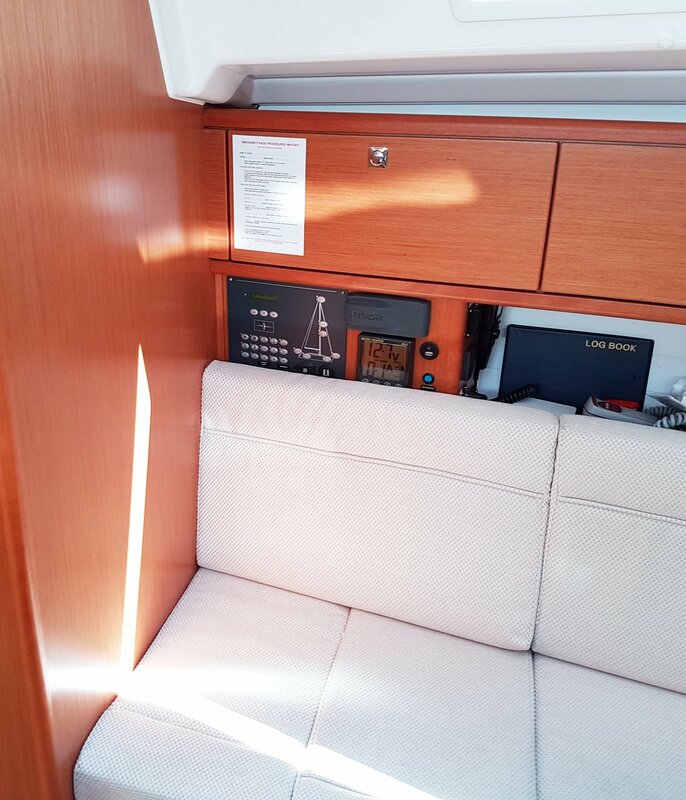 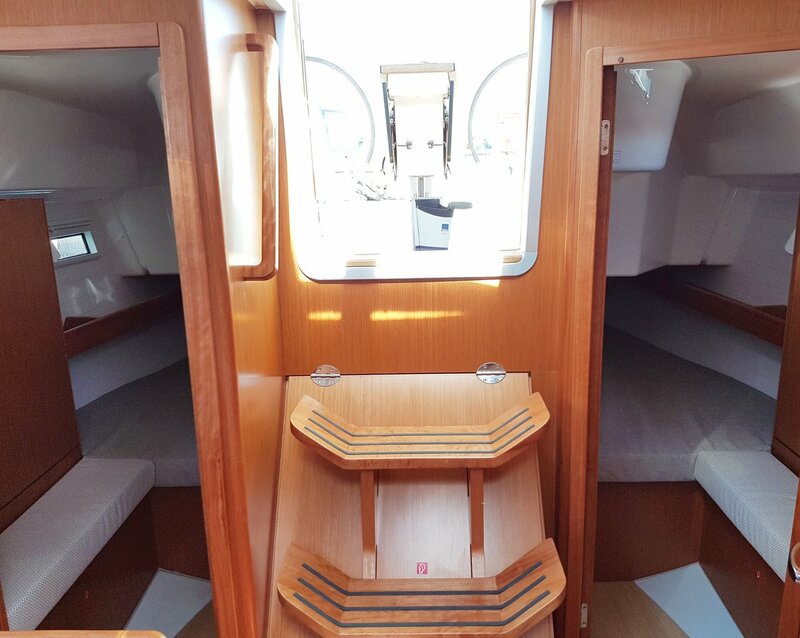 The cockpit offers a lot of space from the large drop down bathing platform up to the companionway, and even along the side decks up to the bow. 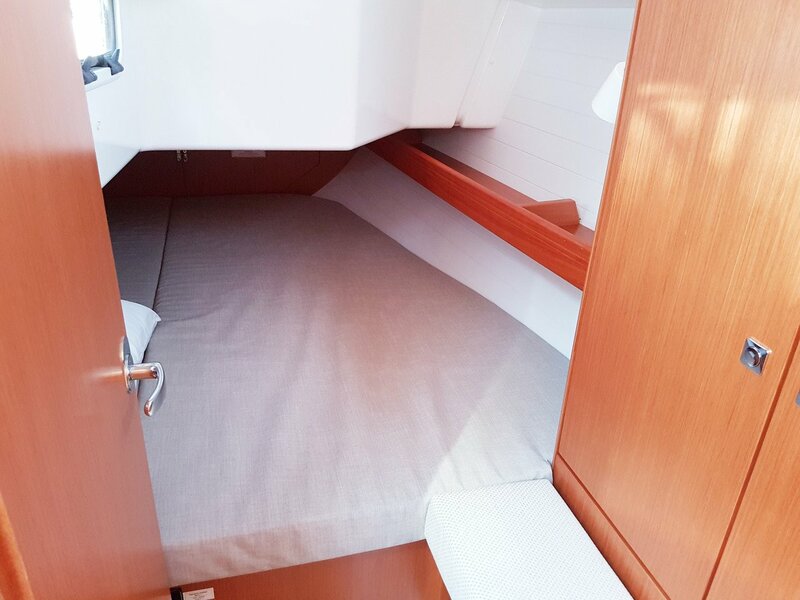 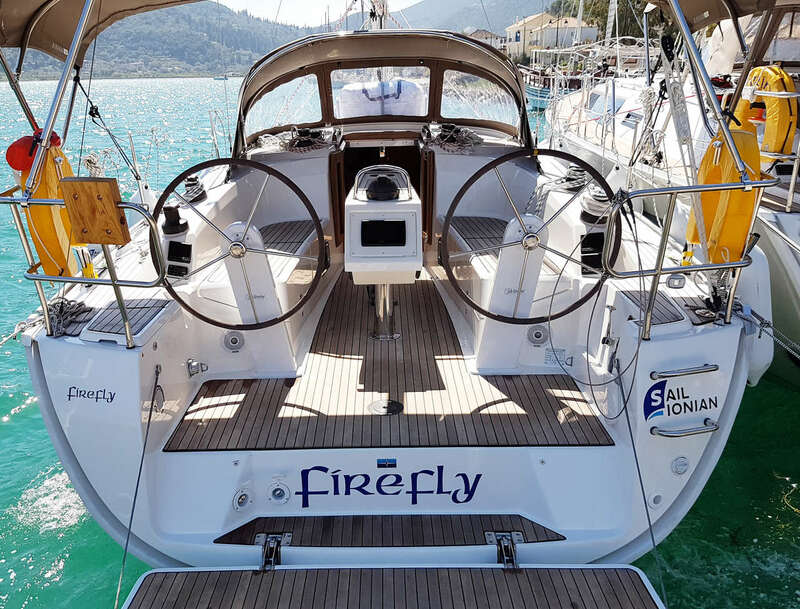 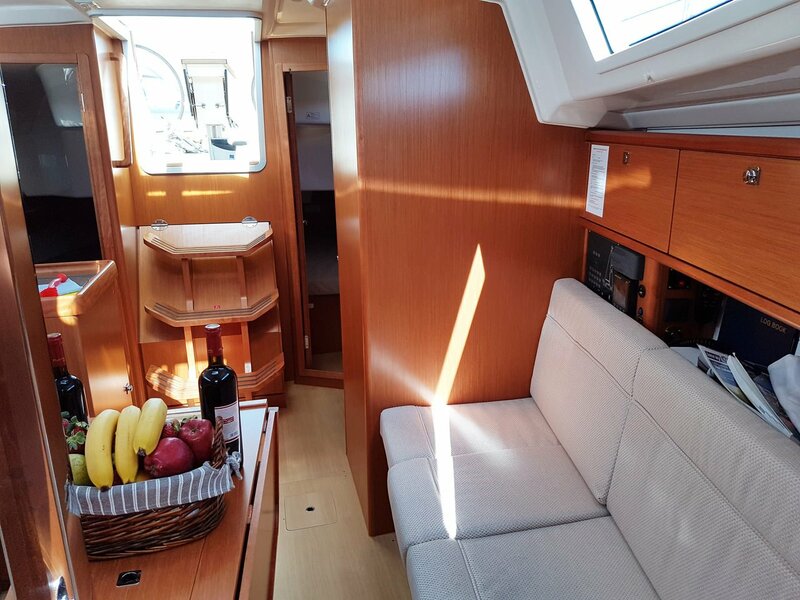 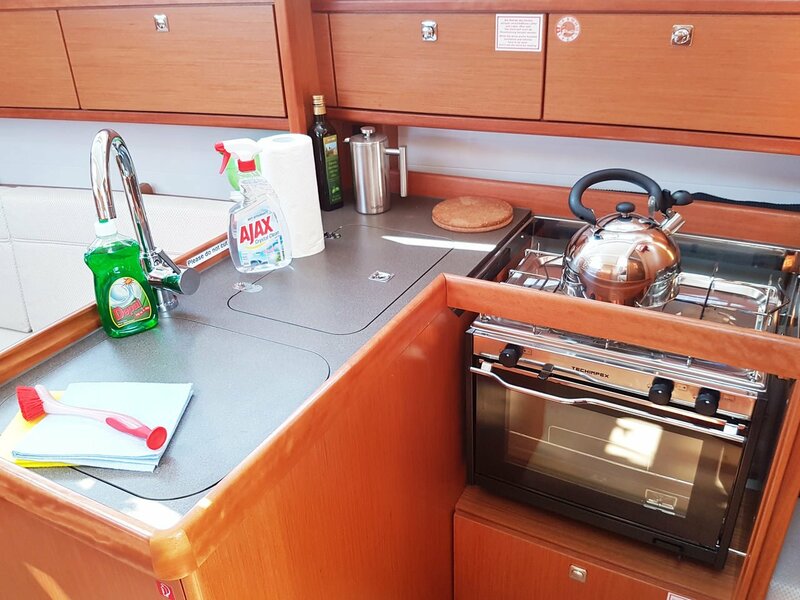 The light, airy living space down below deck would make you believe you are on a much larger yacht, with 3 cabins and 1 heads it is ideal for a group sailing holiday! 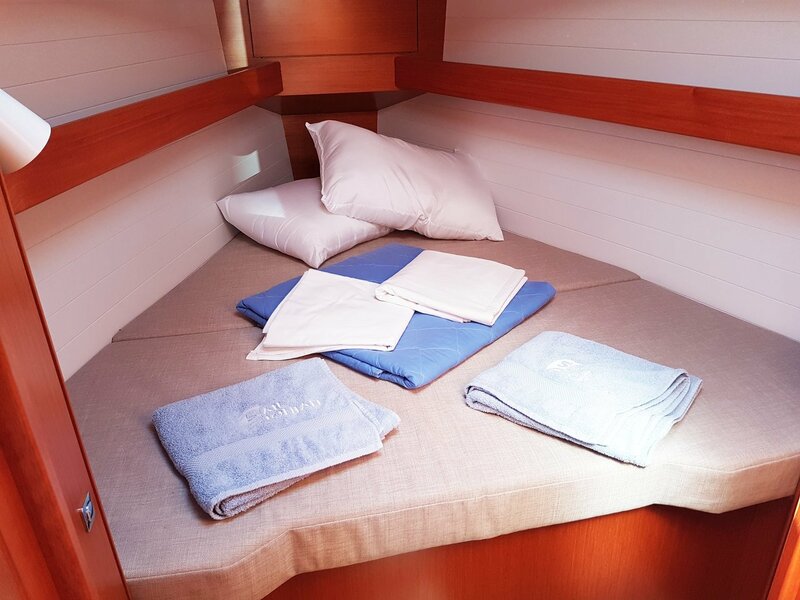 3 double cabins & 2 single berths in the saloon. 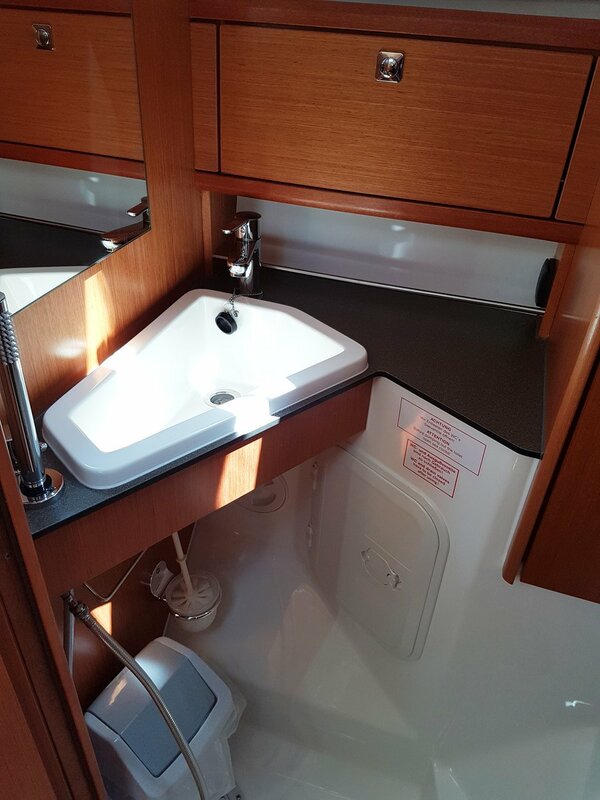 Ideal for a family of 4.